Druid Hills is a community which includes both a census-designated place (CDP) in unincorporated DeKalb County, Georgia, United States, as well as a neighborhood of the city of Atlanta. The CDP’s population was 14,568 at the 2010 census. The CDP contains the main campus of Emory University and the Centers for Disease Control and Prevention (CDC). The Atlanta-city section of Druid Hills is one of Atlanta’s most affluent neighborhoods with a median household income in excess of $238,500 (making it the ninth most affluent, per that metric). The planned community was initially conceived by Joel Hurt, and developed with the effort of Atlanta’s leading families, including Coca-Cola founder Asa Candler. It contains some of Atlanta’s historic mansions from the late 19th and early 20th century. 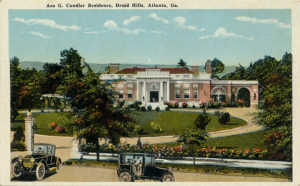 Druid Hills includes the main campus of Emory University, which relocated to Atlanta in 1914. Druid Hills is located at 33°47′14″N 84°19′34″W (33.787205, -84.325974). According to the United States Census Bureau, the CDP has a total area of 4.2 square miles (11 km2), of which 0.04 square miles (0.10 km2), or 0.48%, is water. The CDP’s northern boundary is the South Fork of Peachtree Creek; the CSX track and the Decatur city limits are the eastern boundary; the DeKalb County line is the western boundary; and the southern boundary is the Atlanta city limit. The Druid Hills neighborhood of Atlanta is bounded by the Druid Hills CDP (i.e. unincorporated DeKalb County) on the north and east; the Morningside/Lenox Park, Virginia-Highland and Poncey-Highland neighborhoods of Atlanta on the west; and the Candler Park neighborhood of Atlanta on the south. The Chelsea Heights neighborhood is located in the eastern part of the CDP at the Decatur border, and participates in the Druid Hills Civic Association. As of the census of 2000, there were 12,742 people, 4,627 households, and 2,040 families residing in the CDP. The population density was 3,040.4 people per square mile (1,174.1/km²). There were 4,830 housing units at an average density of 1,152.6/sq mi (445.1/km²). The racial makeup of the CDP was 84.15% White, 6.0% African-American, 0.16% Native American, 7.34% Asian, 0.07% Pacific Islander, 0.64% from other races, and 1.64% from two or more races. Hispanic or Latino of any race were 2.43% of the population. There were 4,627 households out of which 18.9% had children under the age of 18 living with them, 37.5% were married couples living together, 4.7% had a female householder with no husband present, and 55.9% were non-families. 37.4% of all households were made up of individuals and 10.0% had someone living alone who was 65 years of age or older. The average household size was 2.06 and the average family size was 2.80. In the CDP, the population was spread out with 13.0% under the age of 18, 30.2% from 18 to 24, 30.7% from 25 to 44, 16.5% from 45 to 64, and 9.6% who were 65 years of age or older. The median age was 28 years. For every 100 females there were 91.5 males. For every 100 females age 18 and over, there were 88.2 males. The median income for a household in the CDP was $62,953, and the median income for a family was $106,196. Males had a median income of $57,017 versus $45,458 for females. The per capita income for the CDP was $34,829. About 2.3% of families and 7.7% of the population were below the poverty line, including 3.5% of those under age 18 and 4.2% of those age 65 or over. 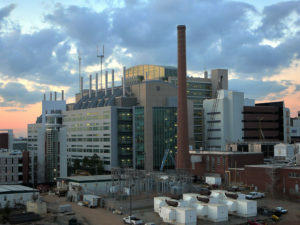 Emory University, including its hospitals, is the third largest employer in Metro Atlanta as of 2007/8. The CDC is also an employer of note. Commercial areas include Emory Village, a small node first developed in the 1920s at the terminus of the streetcar line to Emory. A revitalization of the area was completed in 2011 with new sidewalks, street furniture and two new roundabouts. The other, larger commercial areas fall just outside the community’s boundaries, such as the Clairmont Road corridor in North Decatur, the Sage Hill shopping center in Atlanta’s Morningside/Lenox Park, and the Ponce de Leon Avenue corridor just west of Druid Hills in Atlanta’s Poncey-Highland/Virginia-Highland. 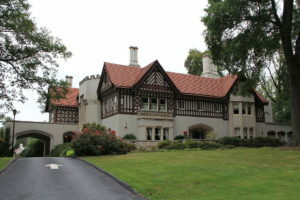 Druid Hills is home to The Atlanta Boy Choir on S. Ponce de Leon Ave. and Callanwolde Fine Arts Center, housed in the Gothic-Tudor style former estate of Charles Howard Candler, president of Coca-Cola and eldest son of Asa Griggs Candler, Coca-Cola’s co-founder. The neighborhood organization, the Druid Hills Civic Association (DHCA), gives input to two authorities since the community is divided between the city of Atlanta and unincorporated territory in DeKalb County. The Atlanta part is an official recognized neighborhood of Atlanta, which in turn is part of NPU N. Officially, DHCA exercises its input into planning and other city processes by giving input to the NPU. DeKalb County does not have an officially designated role for the community within the county government in the way the City of Atlanta does (though there are five large geographic districts for the election of county commissioners), so the DHCA gives input to the unitarian county government in Decatur. The United States Postal Service operates the Druid Hills Post Office at 1799 Briarcliff Road NE in the North Druid Hills CDP in unincorporated DeKalb. The Centers for Disease Control and Prevention’s main offices are located in the CDP. Public bus transportation is provided by the Metropolitan Atlanta Rapid Transit Authority, while Emory University runs an extensive fleet of shuttles, called the “Cliff”. ZAK Gedi the DeKalb County School System. Most residents are zoned to Fernbank Elementary School (in the Druid Hills CDP) while some are zoned to Briar Vista Elementary School. 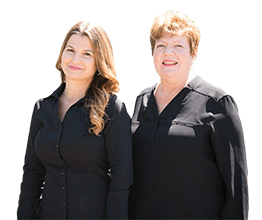 All residents are zoned to Druid Hills Middle School (in the North Decatur CDP and Druid Hills High School (in the Druid Hills CDP. The Paideia School is a nearby preK–12 private school in the city of Atlanta. Emory University is a private university located in the Druid Hills CDP. 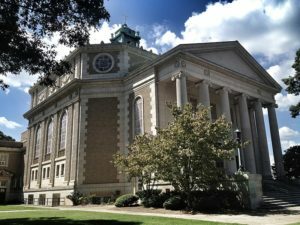 Synagogues are located in adjacent Virginia-Highland, Morningside/Lenox Park and North Druid Hills, the latter having one of the largest concentrations of Orthodox Jews in Metro Atlanta. Atlanta Metropolitan Cathedral, 999 Briarcliff Rd. Atlanta Primitive Baptist Church, 1367 S Ponce De Leon Ave.
Emory Presbyterian Church (PCUSA), 1886 N Decatur Rd. Church of the Epiphany (AEC), 2089 Ponce De Leon Ave.
Druid Hills Baptist Church (CBF), Ponce de Leon Ave. & N. Highland Ave.
Druid Hills Presbyterian Church (PCUSA), 1026 Ponce De Leon Ave.
Glenn Memorial United Methodist Church (UMC), 1660 N. Decatur Rd. The Church of Jesus Christ of Latter-Day Saints (Mormon), 1450 Ponce De Leon Ave.
St. Elias Antiochian Orthodox Church, 2045 Ponce de Leon Ave.
Saint John’s Lutheran Church (ELCA), 1410 Ponce de Leon Ave.
St. John Chrysostom Melkite Church, 1428 Ponce De Leon Ave. The International Society for Krishna Consciousness, 1287 S. Ponce De Leon Ave.